The whole file card, with arty background. 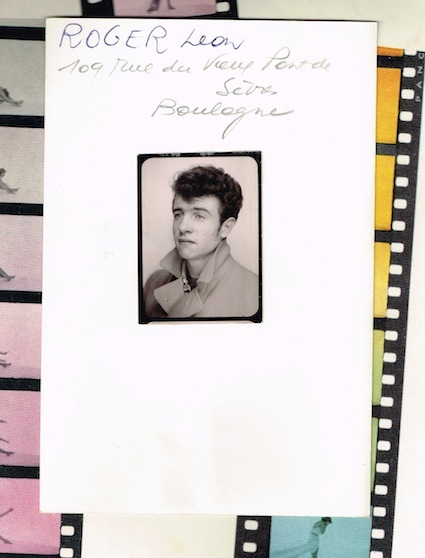 This is Leon Roger in one of a series of file cards from a Parisian acting agency. The photos in the series are all from the 1960s. Each card shows a young actor in their best Hollywood pose, along with their address. The back of this card shows Leon’s height in metres (1.75) and the year of his birth (1936). None of the actors, in the cards I procured, ever made it in the acting profession. The ones that did, were too expensive for me to buy! There are some great photos in this series, so stay tuned to Photobooth Journal for more updates! 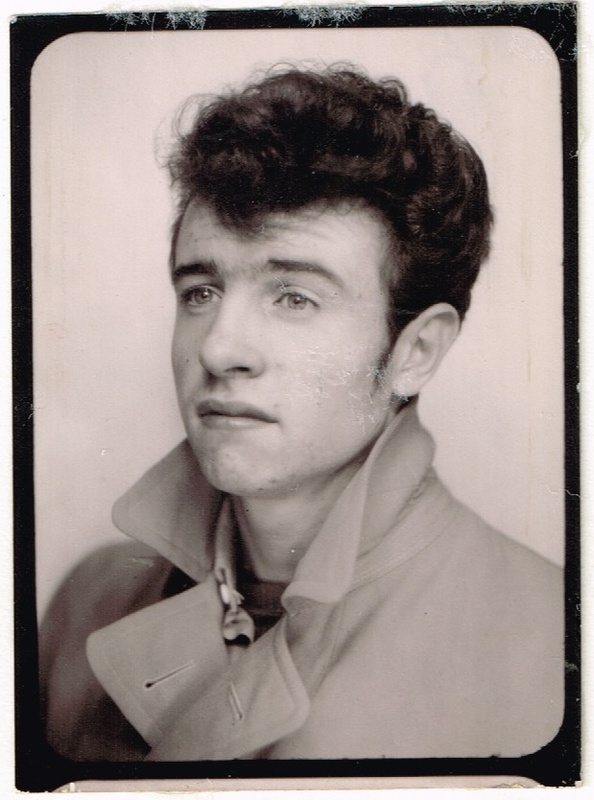 Close-up of the photo of Leon. The imperfection on the surface is caused by glue residue. Wow! I find these images even more fascinating because the guys never made it in acting. I am looking forward to posting more. I guess it would be true to say that more people who aspire to an acting career fail, than succeed. It is very sad as I know how dedicated some of my friends were to their work and creative art. They had to give it up because the jobs and money were so sporadic. Yes, it is hard to make a living as an actor… Most of them struggle but we don’t know it.